18kt white gold black rhodium green diamond band. This modern band features 0.70ctw of prong set round green diamonds. 14kt white gold delicate 2mm bead set diamond band. 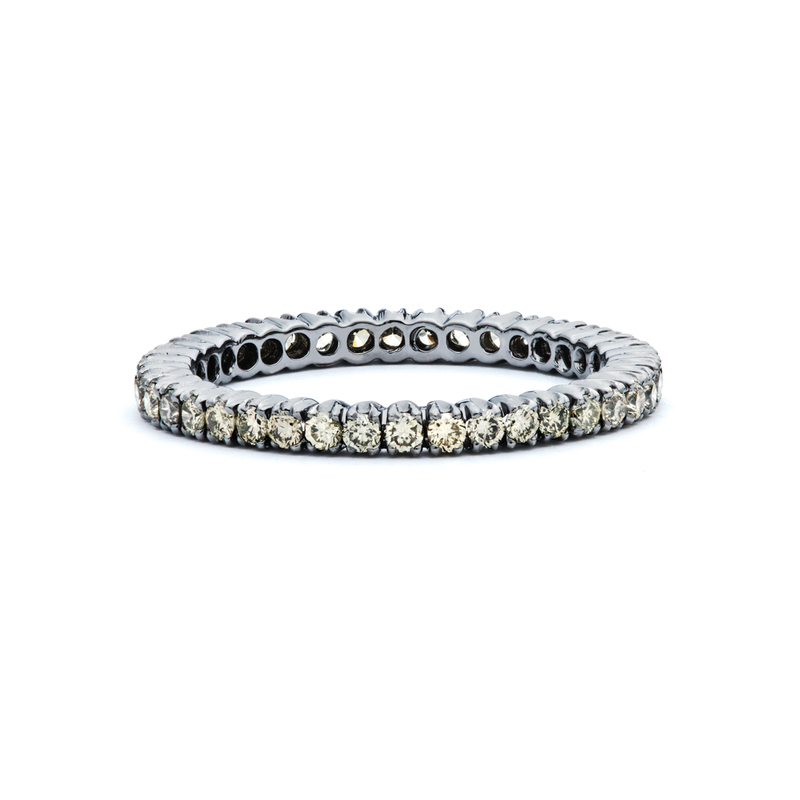 This band features 0.20ctw of round brilliant diamonds. 14kt rose gold diamond eternity band. 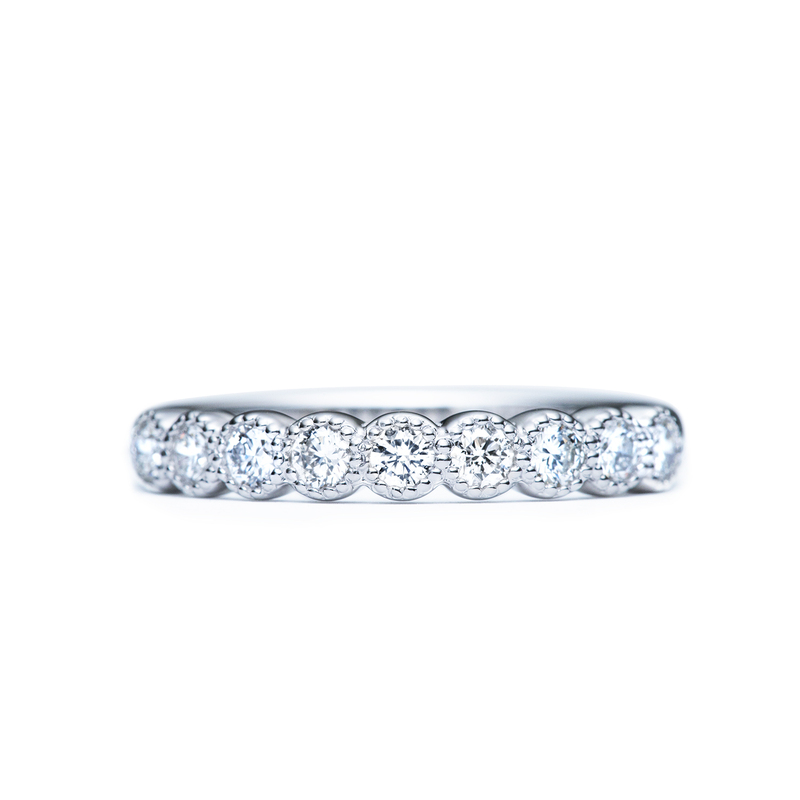 This band features 0.52ctw of round brilliant diamonds that are set in a shared prong scalloped setting. 18kt yellow gold diamond wedding band. 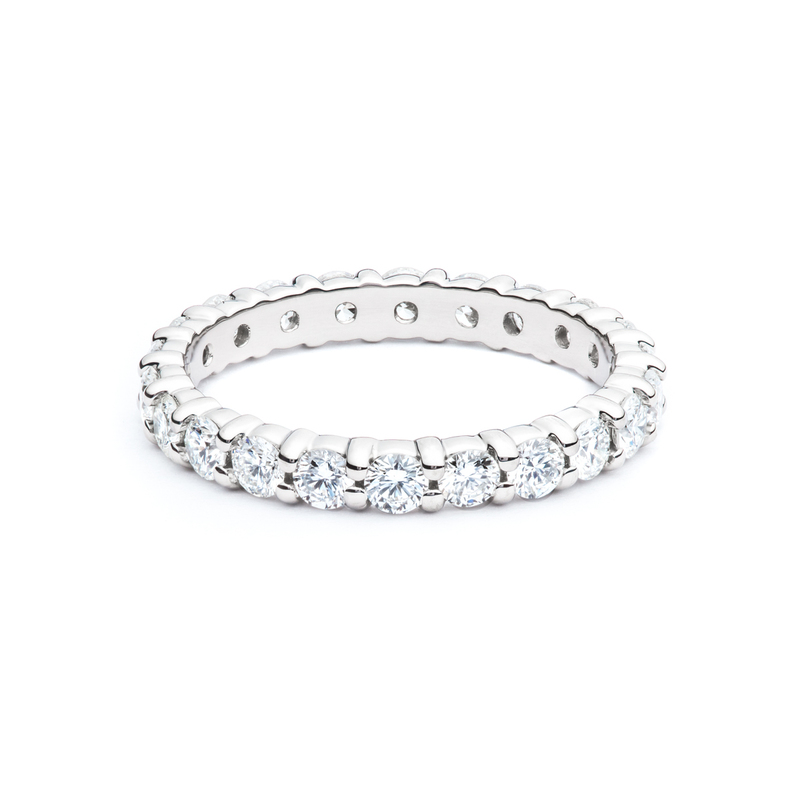 18kt white gold shared prong diamond eternity band. Diamond total weight is 1.32ct. Available in almost any size or quality. Platinum channel set diamond band. The total diamond weight is 1.02ctw. Available in almost any size or quality. 14kt white gold beaded bezel diamond band. Total diamond weight is 0.49ctw. Available in almost any number, size, or quality of diamonds. 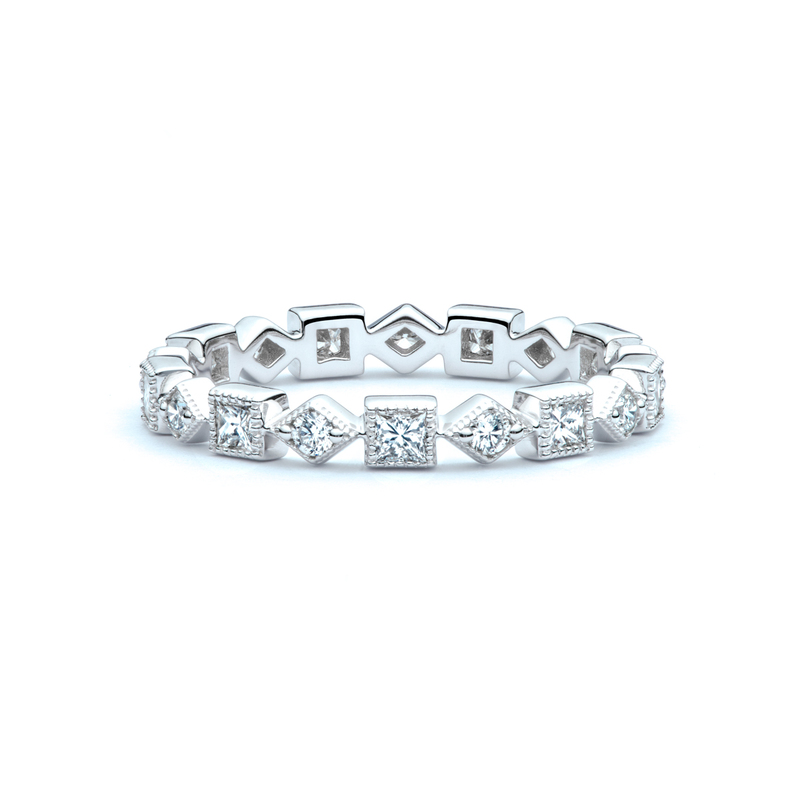 Platinum French cut away set diamond band. The total diamond weight is 0.76ctw. Available in almost any weight or diamond quality. 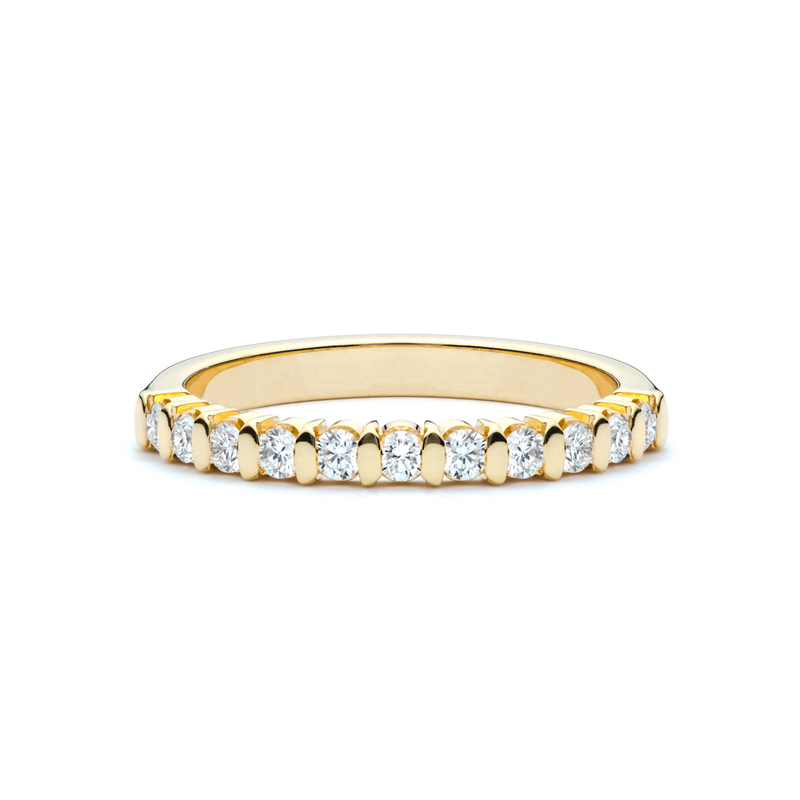 18kt yellow gold tab set diamond band. The total diamond weight is 0.35ctw. Available in almost any weight or diamond quality. Rose gold and platinum hand fabricated diamond eternity band. The total diamond weight is 5.04ctw. Custom made in our Cary, NC studio. 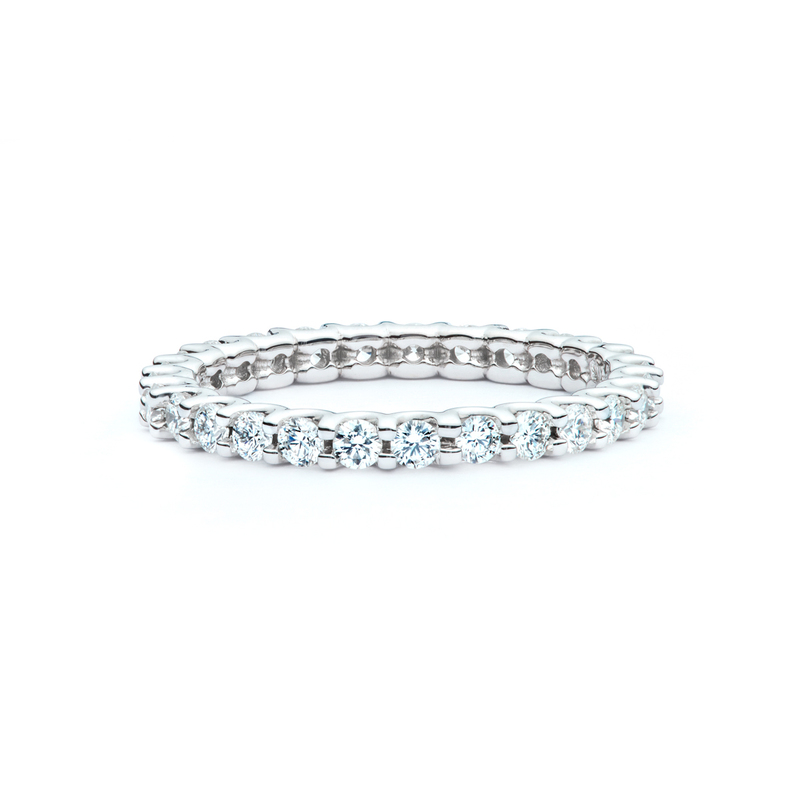 14kt white gold diamond eternity band. The total diamond weight is 0.84ctw. 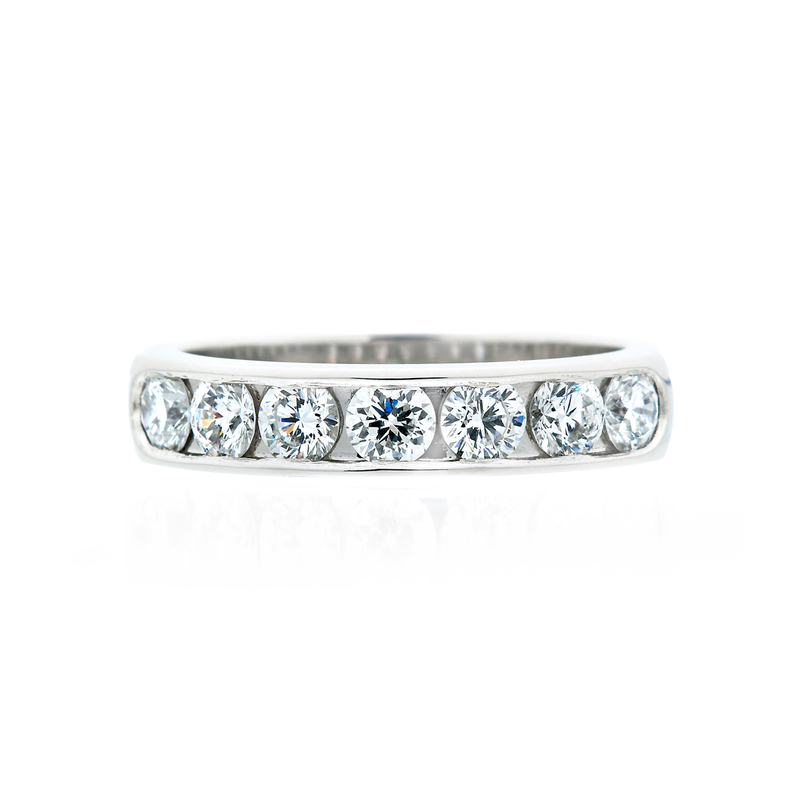 18kt white gold stackable diamond wedding band. 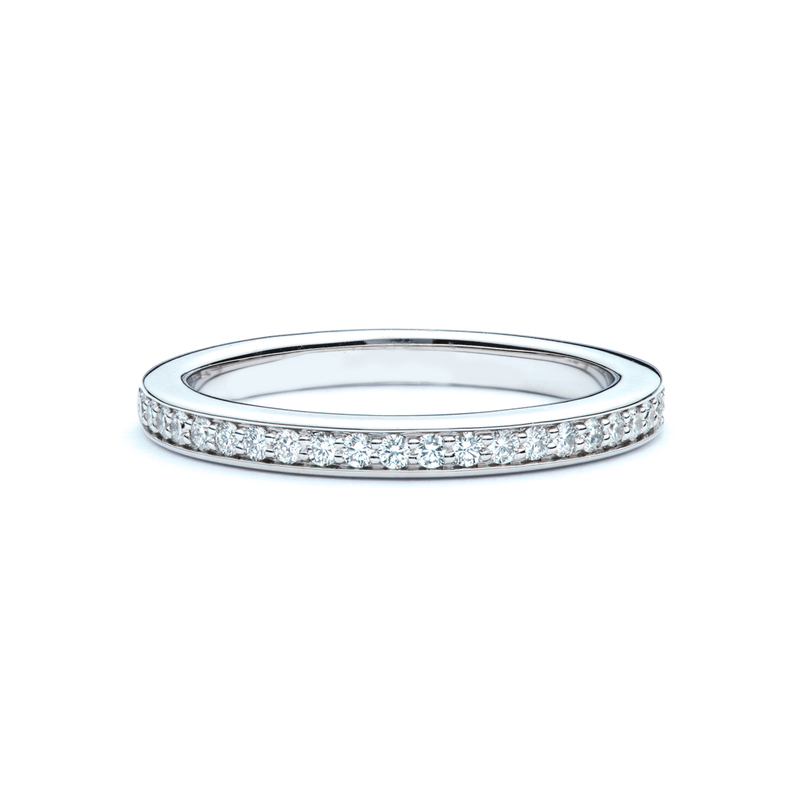 The band features 0.42ct of beaded bezel set princess cut diamonds, and 0.18ctw of round diamonds. 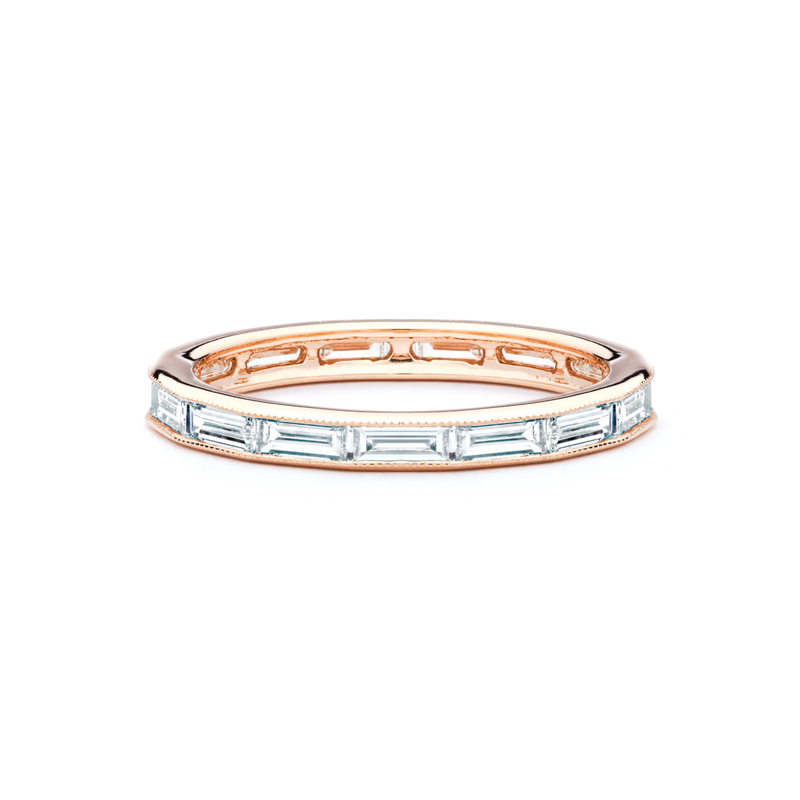 18kt rose gold diamond baguette eternity band. The channel set diamond have a total weight of 1.20ctw. 18kt rose gold black diamond band. 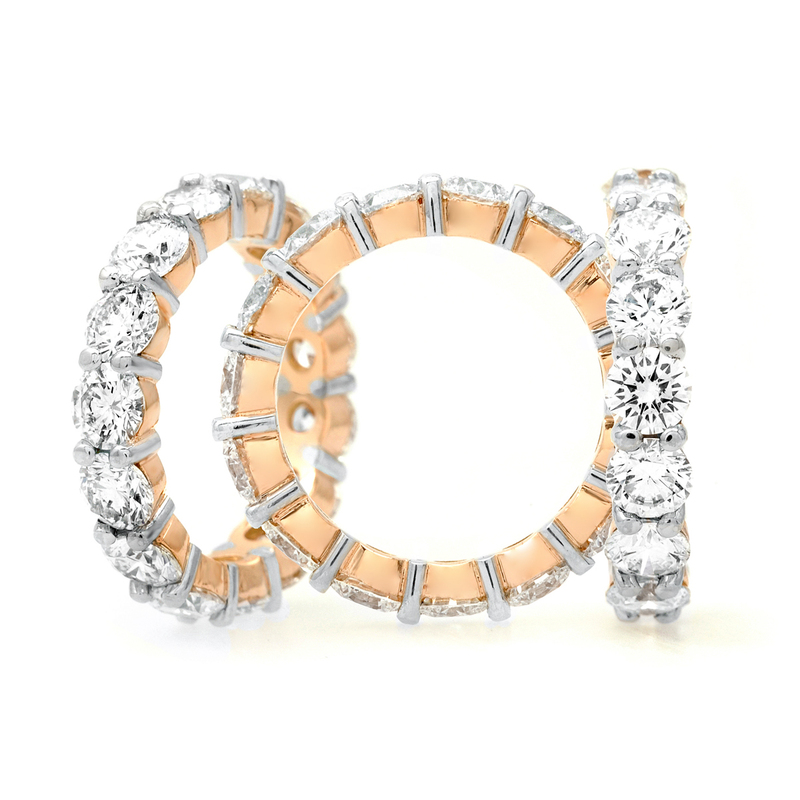 The band features 0.70ctw of diamonds set in a millgrained bezel style. 18kt gold black diamond band that is plated with black rhodium. The total diamond weight is 0.75ctw. 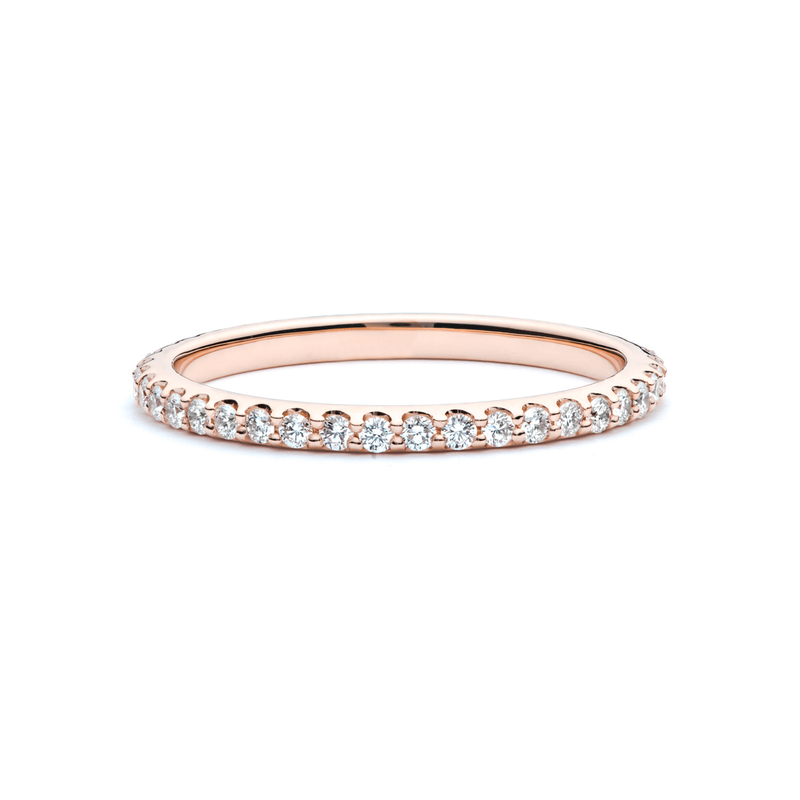 14kt rose gold milgrained bezel diamond band. The total weight of diamonds is 1.20ctw. Custom made in our Cary, NC studio. Available in almost any diamond weight. 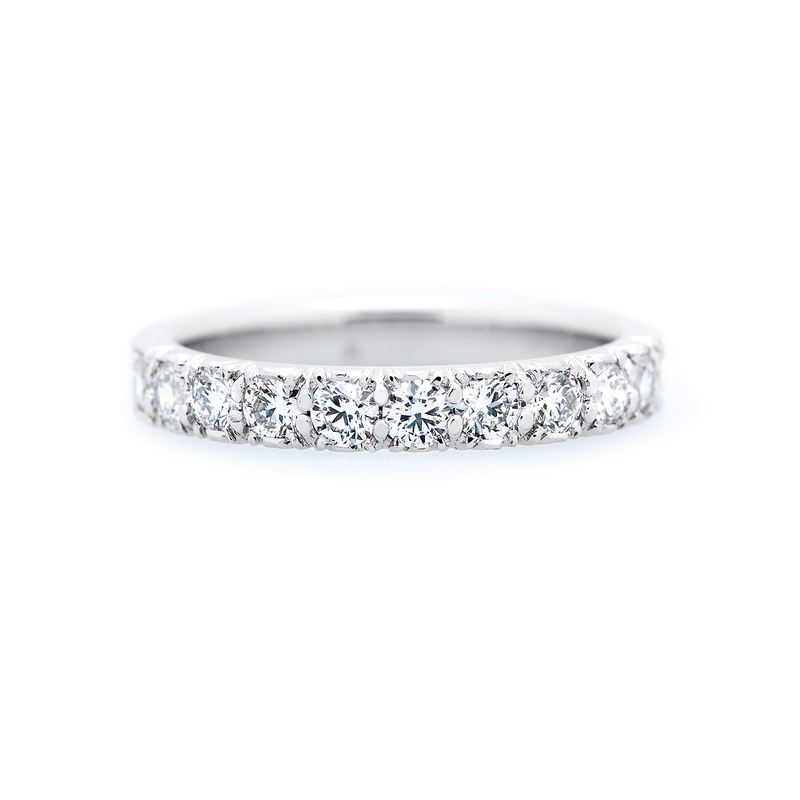 14kt white gold milgrained bezel diamond band. The total weight of diamonds is 1.23ctw. Custom made in our Cary, NC studio. Available in almost any diamond weight. 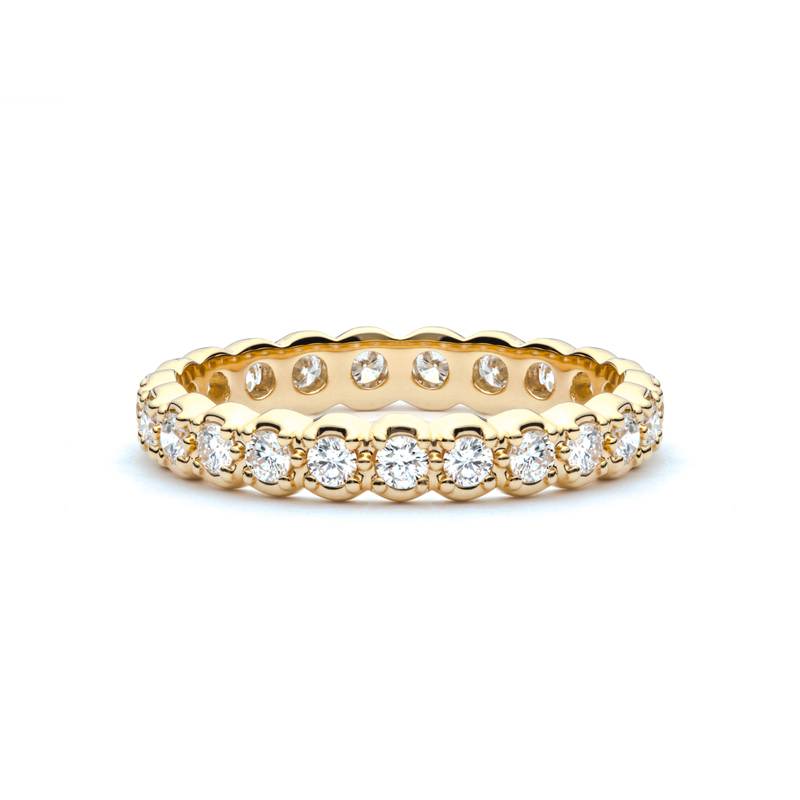 18kt yellow gold bead set diamond eternity band. The total diamond weight is 1.15ct. Custom made in our Cary, NC studio. Available in almost any diamond weight.